Architect Amador Calafat Busquets, born in Mallorca, always loved native nature. But fate brought him to Germany, where he started a family, had a brilliant career and seemed to be happy. But a piece of his soul was still given to the native land, where the air is saturated with the scent of rosemary; and sea and clear blue sky and generous Mediterranean nature turn the island into a picturesque paradise. And now, after 30 years, Amador finally decided to return home. During this time he thought about the project of his Dream House in details and finally started its implementation. 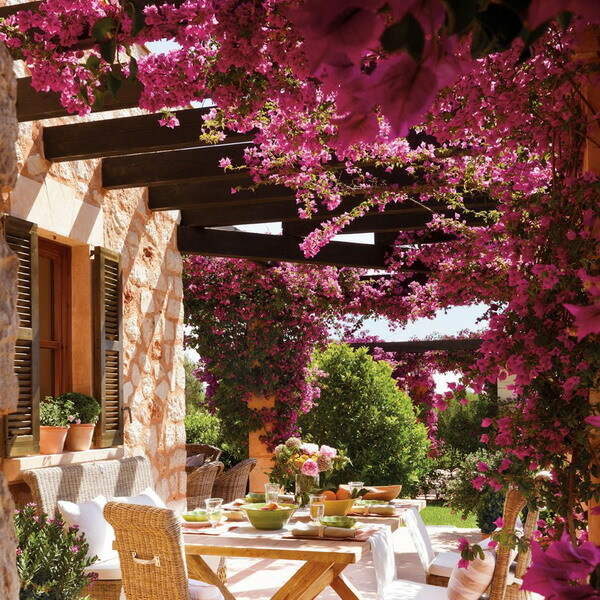 The whole patio is decorated with flowers. They frame the paths, hover around terraces and arches. 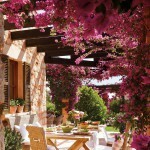 The terrace is made ​​in eco-style. Walls are lined with stone. There are wicker rattan armchairs around the table. There is scenic views of the surrounding countryside. Also there is a place for lunch or a leisurely chat over a cup of coffee in the garden with a stylish wrought table under the shade of palm trees. There is a real eternal summer i the living room. 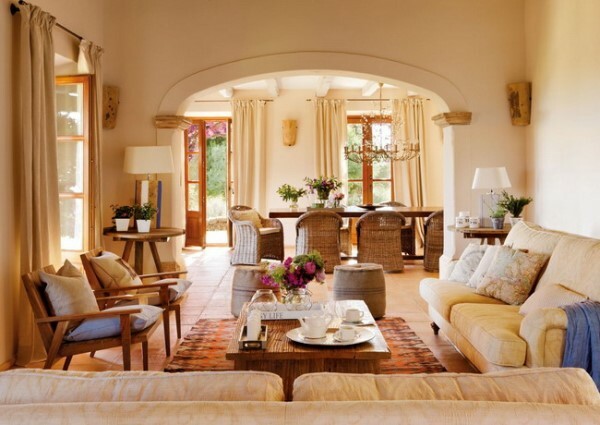 This is facilitated by the walls and furniture in warm colors, flowers in vases, chairs, reminiscent of beach loungers. The decor here is unusual: pillows with prints of maps, glass candlesticks, puffs of burlap, kilim carpet. 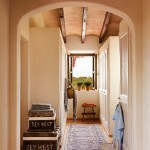 A wide stone arch separates the living room from the dining room. 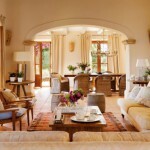 A solid oak table is surrounded by wicker chairs. There is an elegant chandelier with forged branches over the table instead of ordinary lamps. 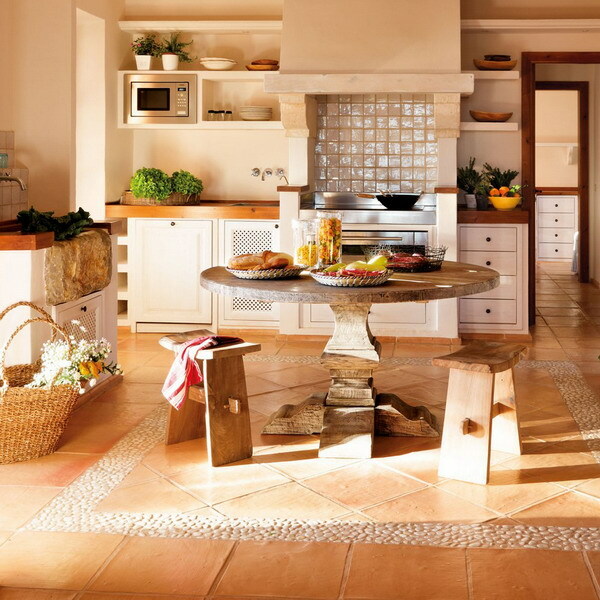 The kitchen is as bright as the living room. 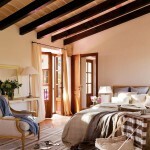 Here, even the ceiling beams are painted in a light color, so that nothing could spoil the sunny room. 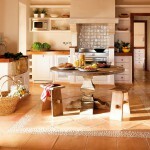 The walls have almost no decoration, but places over and above the sink stove are decorated with shiny glazed tiles. Bedroom is classic. But bright curtains, wicker chests and unpainted beamed ceilings help recreating a village atmosphere, which Amador dreamed about. There are no bulky hangers. 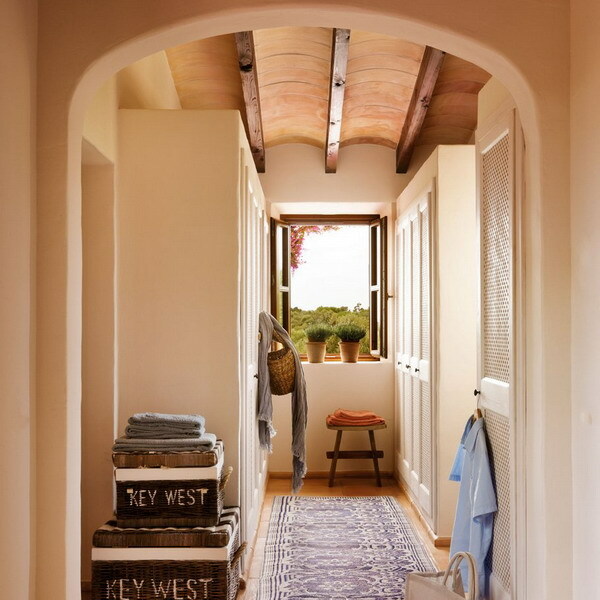 Everything is stored in cabinets and in wicker baskets.